The first Thursday of August the United States celebrates National IPA Day. This style of beer originated hundreds of years ago in London and has become wildly popular in the past few decades here in the USA. In the 1700s pale ales were being exported to European troops and merchants in India but were spoiling on the long journey. The solution was to add more hops to the brew and increase the alcohol levels, as both act as methods of preservation. This style began to gain popularity in the United States in the 1990s and is now one of the most popular varieties of microbrew in America today. This lactose New England style IPA is juicy, hazy and low in bitterness. This brew can be found a hop and skip from the Orlando International Airport. Take a walk on the dark side with this Black IPA from a brewery in downtown Orlando. Malty, roasty, with a hoppy finish. A highly rated 8% Imperial IPA from an awesome new brewery in Sanford, Florida. A juicy, aggressively dry-hopped IPA from a brewery in the SoFa District of Winter Park. This New England style DIPA was originally brewed for the company's 2 year anniversary and is back in year 3! A 10% double IPA will make your taste buds sing with its citrusy hop character and a malty backbone. This golden colored IPA was brewed with a generous amount of Falconer's Flight hops from a brewery in Orlando's Hourglass District. A 6% IPA from Winter Springs and a tribute to the Devil's Chair in Cassadaga. This DIPA is deceptive - it drinks easy and you wouldn't guess it has a 9% ABV (until you start to stagger). A classic IPA, this 6.7% DeBary beer has a nice balance and a big hop aroma and flavor. 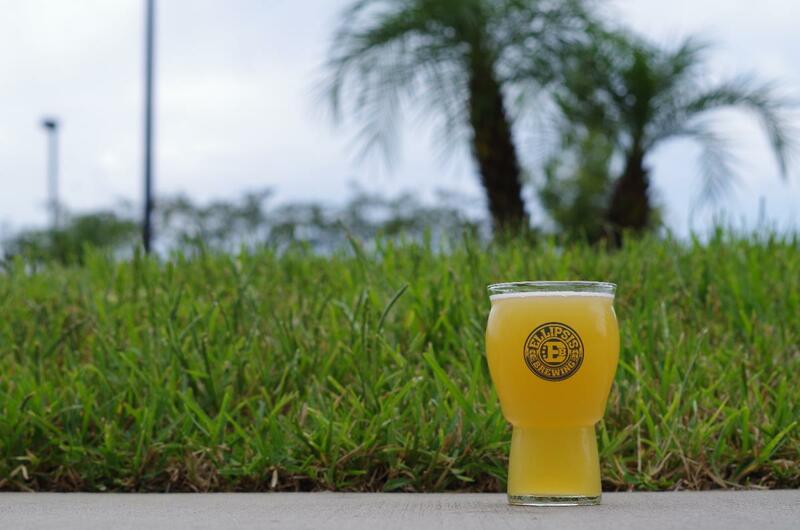 Orlando's microbrewery scene is hoppin'! For more information on great places to grab a local pint check out this 10 Craft Beer Bars & Breweries article.